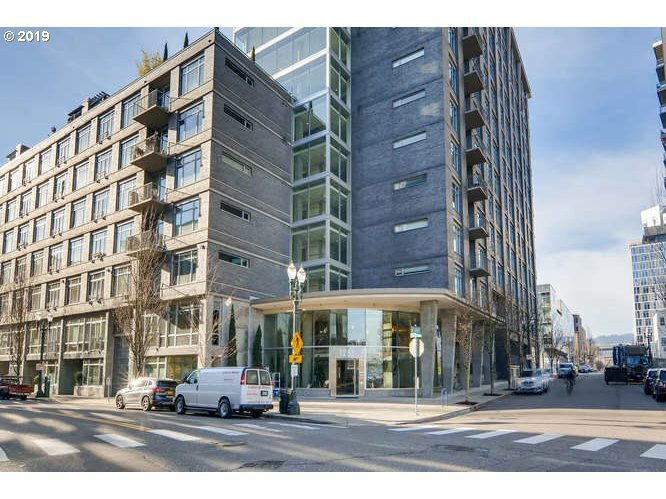 All THE PEARL DISTRICT homes currently listed for sale in Portland as of 04/23/2019 are shown below. You can change the search criteria at any time by pressing the 'Change Search' button below. "Open Sun 4/28 1:00-3:00pm. Live in one of The Pearl's most elegant buildings. This gorgeous loft features hardwood floors, high ceilings and a wall of southeast-facing windows. Built-ins in the kitchen and master closet, stylish fixtures, luxuriously large bathroom, deeded parking and storage. Low HOA fees. Steps from Tanner Springs and The Fields parks, bakery, cafes and more! Seller is a licensed Oregon Real Estate Broker." "Pearl District living at its best! Open concept loft w/ a partial river view! This well maintained L-shaped unit boasts hardwood floors, SS appliances, gas range, large walk-in closet w/ California Closets organizers, and in-unit washer and dryer. Don't miss the community terrace on the 7th floor. Close to shopping, restaurants, Fields & Tanner Springs parks, and transit. Includes one deeded parking spot & secure storage. Low HOA dues."